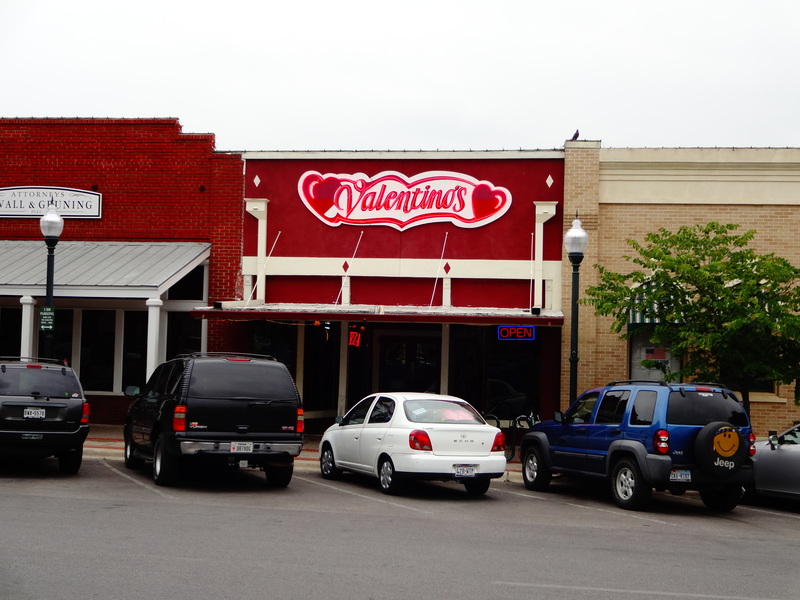 Valentino’s Pizza opened in San Marcos back in 1981 and has been serving homemade pizza to San Marcos Residents ever since. 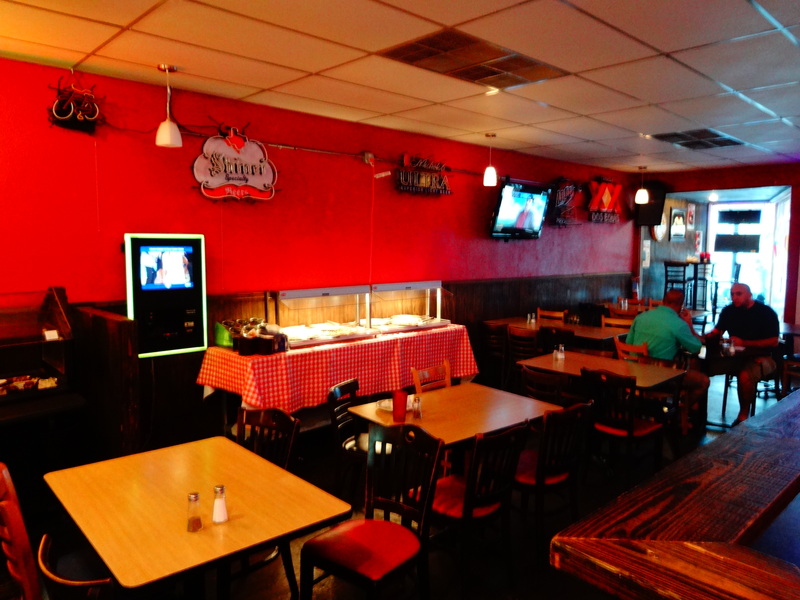 They offer quite a variety of toppings and sides as well as some good beer on tap by the pitcher. 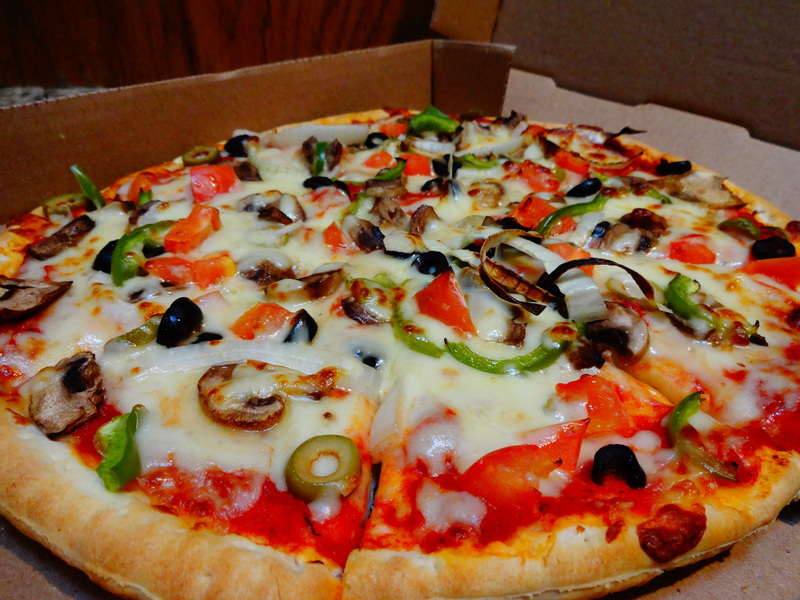 About three years ago before I ever even thought of starting this blog, I actually was pretty much a pizza addict at the time and was eating from several local pizza places several times a week. I have always had food on my mind I suppose and at times, I would definitely go through phases of eating one type of food for months or longer hehe.. I ate pizza for almost two years straight before I finally wanted to eat other things regularly as well. 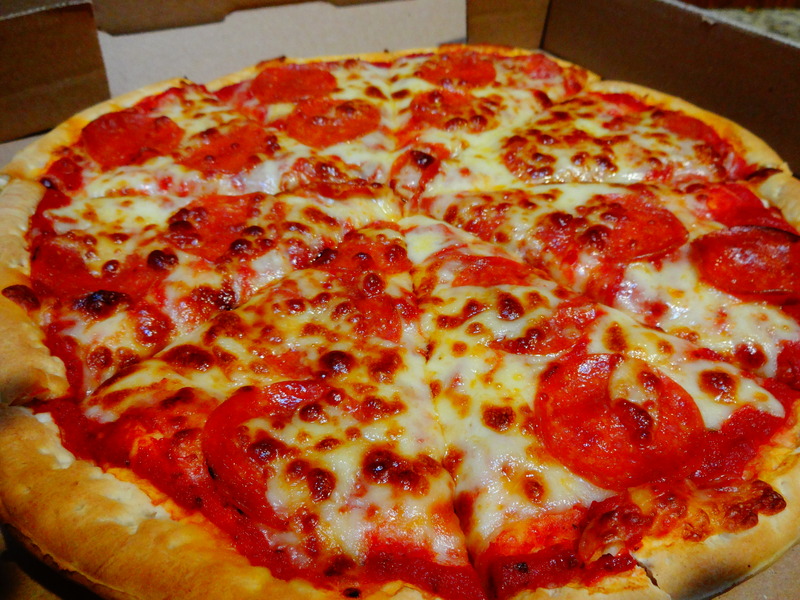 I even considered starting a blog solely dedicated to San Marcos Pizza called of course “The San Marcos Pizza Blog”. 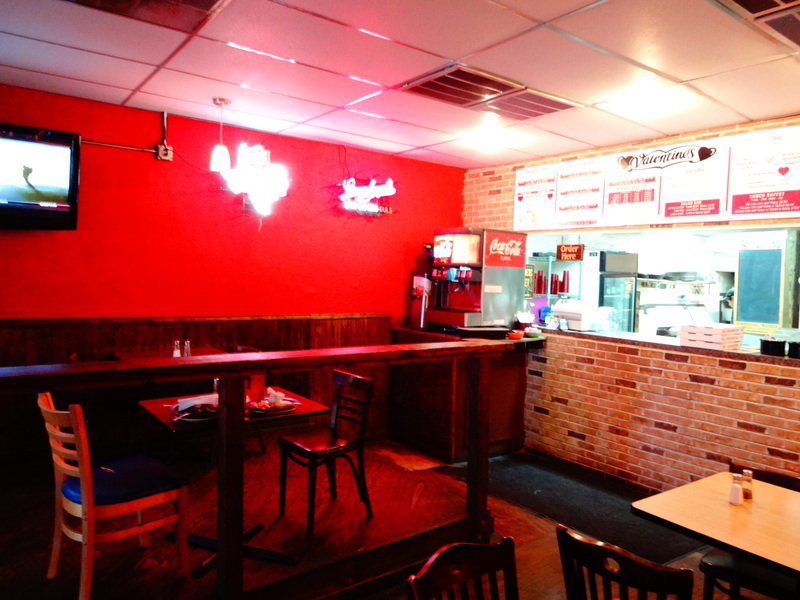 Valentino’s Pizza was among the places that I frequented each week..
People that still work there from that time can vouch for the fact that the pickup order for Luke was already known before I called.. 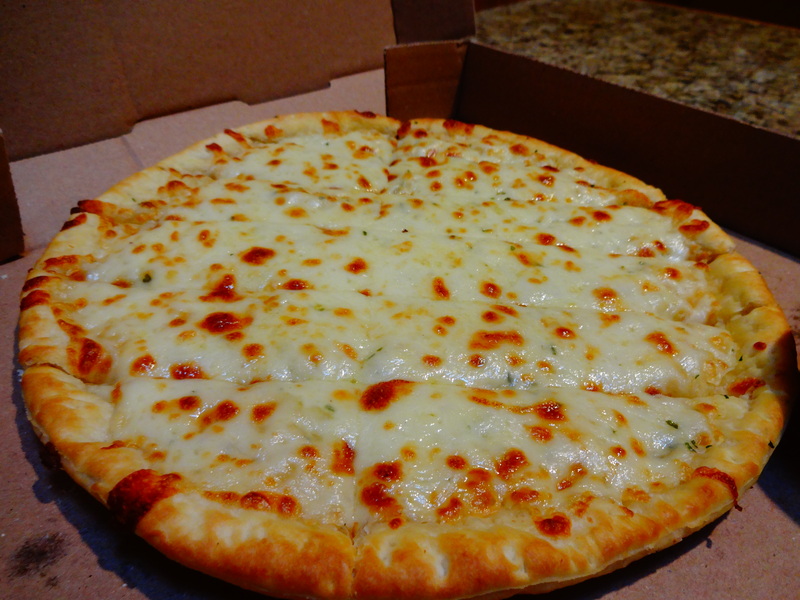 I cannot say how many orders of Cheese Bread Sticks and Medium Margherita Pizzas I ate during that time period. I enjoy Valentino’s because they use some great Provolone Cheese which really gives pizza that “stringy” and melty yet thick enough cheese with the perfect consistency. This cheese does not slide off the crust nor is it disproportional when its melts. 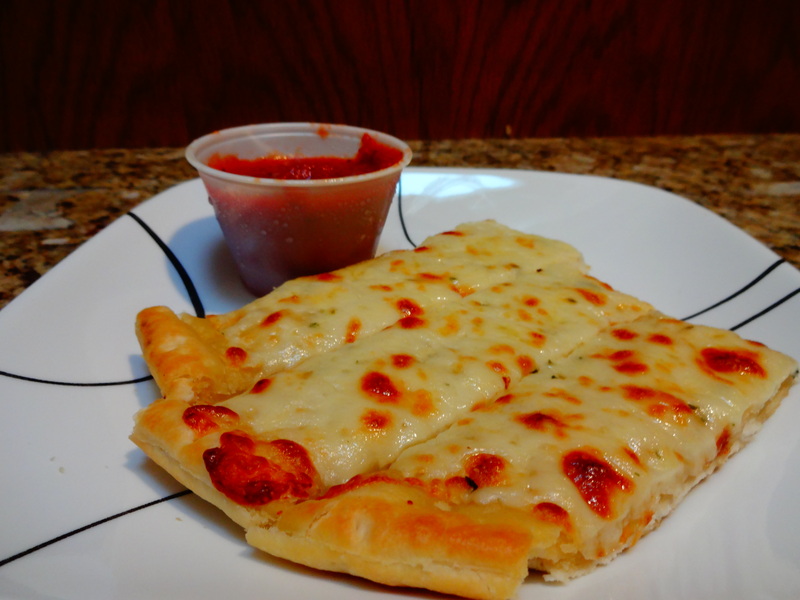 Their sauce is savory with a nice touch of sweet and compliments the cheese quite well. 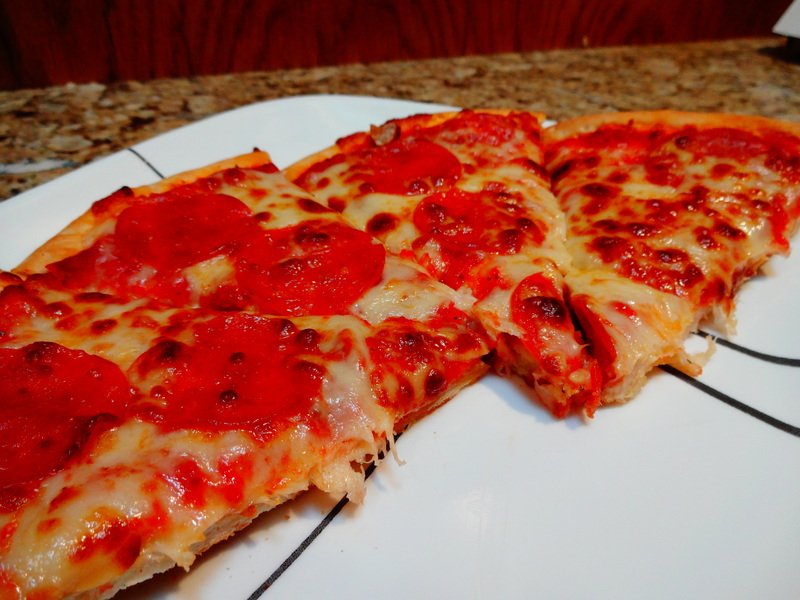 The crust is well made and tasty although I must admit I am partial to thinner crusts or roman-style crusts and this crust is just a bit too thick for me but this is honestly a small personal preference that has no reflection on Valentino’s at all. They also offer a whole-wheat crust option.